During the 2003 season, to increase safety for the drivers, NASCAR banned racing back to the yellow flag after the caution is displayed. 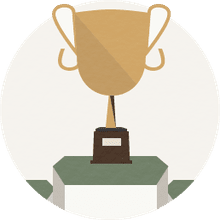 While this has increased safety (safety crews can respond more quickly) the rule contains a special "beneficiary" or as it's more commonly known, a "lucky dog" provision which, one could argue, compromises the integrity of the sport. NASCAR's lucky dog rule states that the first driver one lap down automatically gets his lap back when the caution flag comes out. Some clarifications and exceptions apply. If the driver is a lap down because of a NASCAR penalty, he is not eligible for the lucky dog pass. Drivers who are a lap down because of mechanical problems are not eligible for the lucky dog until the leaders have lapped at least one car on the track. The driver that causes the caution is not eligible to receive the Lucky Dog pass during that yellow. The lucky dog rule was first used at Dover in September of 2003. He took full advantage of his free pass and went on to win the race. 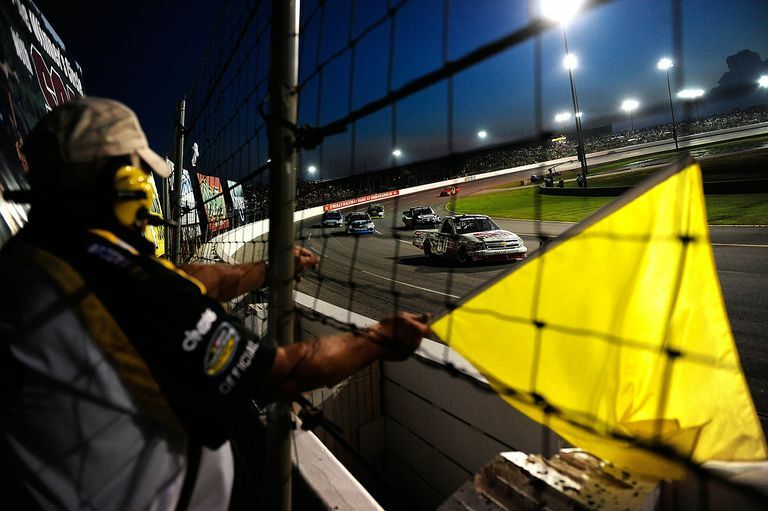 Before the rule went into effect, there was a general understanding that when there was a caution flag, drivers would slow down and not pass slower cars when "racing back to the caution," or recouping the time they lost while the caution was in place. After a near-miss between drivers Casey Mears and Dale Jarrett at the Sylvania 300 in 2003, NASCAR opted to implement the rule to halt all racing whenever there was an incident on the track, and the beneficiary rule allowed slower cars to catch up. The first person to call NASCAR's beneficiary rule the "lucky dog" rule was Benny Parsons, who was calling a race in 2003 at Dover International Speedway. The term was quickly adopted by most (but not all) broadcasters. The term conveys the skeptics' view that the rule gives an unfair advantage to an undeserving driver, but in the vernacular of NASCAR. Critics of the rules say it provides an arbitrary advantage to a driver that doesn't deserve it because the driver hasn't done anything to earn it. He doesn't have to be within a certain distance of the leader or earn it based on drivers points or anything else. Just be the first car one lap down, have a yellow come out, and you get the free lap. There was an occasion where a driver took advantage of the lucky dog rule and came back to win the race. Ryan Newman has the dubious distinction of winning two races as the lucky dog, at Dover in 2003 as mentioned above, and at Michigan in 2004. Kevin Harvick won at Daytona in 2010 after a lucky dog.